This week, Hilton Hotels & Resorts rolled out Hilton Huanying, the new Hilton Worldwide welcome program for Chinese travelers, at 51 participating properties in 13 countries worldwide, with a global unveiling at Hilton San Francisco Union Square. Taking its name from the Chinese word for “welcome,” Hilton Huanying enables travelers, agents and tour operators to book participating hotels knowing the hotels will meet cultural needs and expectations of Chinese travelers. Initially launched by Hilton Hotels & Resorts, the program is available for all Hilton Worldwide hotels prepared to deliver Hilton Huanying service standards. Travelers can visit www.hilton.com/huanying to view a list of participating hotels and can call their desired hotel directly to request special Hilton Huanying amenities and services in advance of their stays. Visitors to the site can also download recipe cards for traditional Chinese breakfast items now offered at hotels offering Hilton Huanying. Hilton Hotels & Resorts selected San Francisco as the location for the global launch of Hilton Huanying as the city has long been recognized as a leading global destination for Chinese travelers and is home to one of the largest Chinese communities in the U.S. Four Bay Area properties are currently enrolled in Hilton Huanying, including Hilton San Francisco Financial District, Hilton San Francisco Union Square, Hilton San Francisco Airport Bayfront and Hilton Santa Clara. 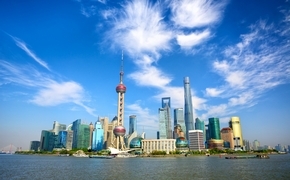 For more information, visit www.hilton.com/huanying.